ROCHESTER – A Waterport woman who is a music teacher in the Rochester City School District will be honored on Wednesday as one of two outstanding educators for the district. Kelly Follman is a music teacher at the Rise Community School No. 106. Follman has served students at several Rochester city schools, including Nathaniel Rochester Community School No. 3, George Mather Forbes School No. 4, Roberto Clemente School No. 8, Francis Parker School No. 23, Pinnacle School No. 35, and Kodak Park School No. 41. Two of her former colleagues at School No. 23 nominated her for the Outstanding Educator Award. A graduate of SUNY Potsdam’s Crane School of Music, with a Master’s degree from SUNY Brockport, Follman has produced musicals at her home school as well as helping direct the district-wide musical. She also serves as a liaison between the Eastman Pathways program and the District. 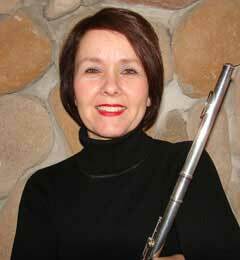 Outside of her time in the classroom, Follman keeps busy as a semi-professional musician in local orchestras. The Outstanding Educator Award recognizes Rochester educators who are strong partners of Rochester students, making a positive impact on their lives. The Rochester Education Foundation will recognize staff and students on Wednesday at the Annual Partnership Awards Event. That event is at the Wintergarden by Monroe’s in Rochester.